Steppin' Out Dance Studios - Senior Services "A Dance To Remember"
All new clients for 2017 will receive a one-time $75 rate for a 45-minute trial class at your Skilled Nursing, Assisted Living or Independent Living Center. Please check out this link to an article in the Press Democrat, in which Helen Andrade is quoted! “Dancing with the Seniors” begins with a 15-20 minute warm- up exercise time. Simple dance and stretching exercises are demonstrated by the instructor to Salsa/Mambo or Big Band Swing and Latin in the form of easy-to-follow upper-body movements. They are designed to keep the heart healthy and stretch stiff joints. Participants are invited to play percussion instruments provided by the instructor such as maracas, castanets, tambourines, rattles and bells plus African and Vietnamese instruments. Helen demonstrates the dance of the week and does a performance of anything from Foxtrot to Swing, Salsa to Tango, depending on the selected dance of the day. She is always open to requests. 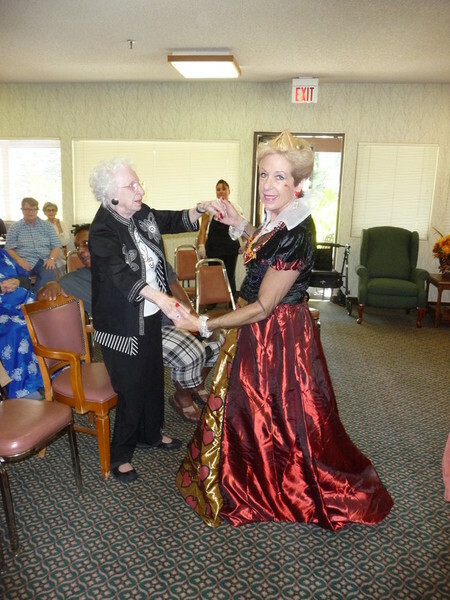 This lasts about 30 minutes for a performance and dancing with the residents or interacting with them while they are seated. A dance is already chosen by now and the participants are engaged in a history of that particular dance. This history lesson is fun and filled with humor, and the participants find this quite entertaining. They are encouraged to listen very closely, as questions will be asked to test their memories in a game format. Winners receive prizes from jewelry to sugar-free candies. This takes about 15 minutes. Aegis of Corte Madera, Golden Living in Petaluma, Santa Rosa and Sonoma, Vintage Sonoma, Emeritus, Villa Marin, Apple Valley Rehab, Spring Lake Village, Drake Terrace, Novato Healthcare, Valley Orchard, Brookdale Senior Communities, Adobe House, Springfield Place, The Meadows in Napa, Villa Marin. “Dancing with the Seniors” has been designed to help prevent Alzheimer’s disease and promote physical well-being, as well as to entertain and educate. The music helps recall memories of the “Olden Days”, dancing at the Roseland Ballroom or whisking around the floor to the Anniversary Waltz with their sweetheart. We go down Memory Lane together, and participants are asked to share their stories with the group. Staff is always welcome to join in on the dance of the week, which always spices up the presentation! 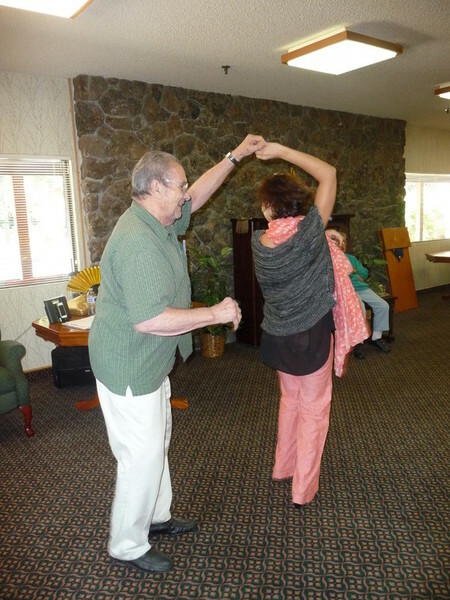 This dance program was designed by Helen Andrade, instructor, ballroom dancer and performer for over 39 years. It was originally designed for seniors and the disabled in wheelchairs who were limited in their capabilities at the Apple Valley Rehabilitation Center. Since its inception in 2007, it has grown and been extremely successful throughout the North Bay and now includes a full dance program for Independent. The program can be calibrated to the capabilities of the group. Some participants may sit and do upper body movements, while others will be able to stand for dance therapy or simply follow a simple lesson on the dance of the day ie: Foxtrot or Swing. 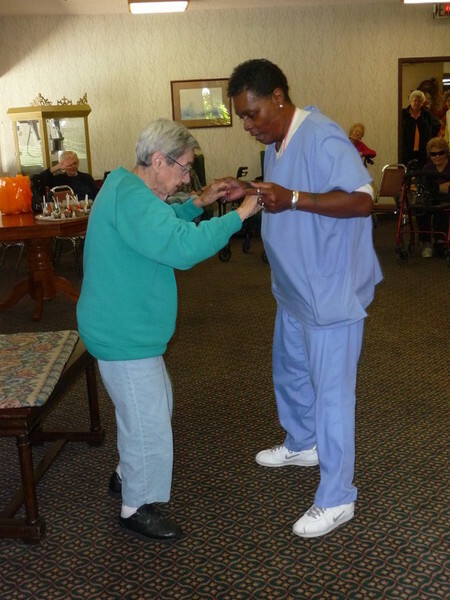 Fun and engaging dance warm-ups for upper body and more keep residents fit and heart-healthy, (residents may remain seated or standing). $95 per hour includes warm-ups, dance demonstration for the day, dance lesson, class participation, music session with instruments from all over the world, dance history and trivia quiz with prizes...all brought to your doorstep! ALL NEW clients will recieve a discount for their first trial class of $75 for a 45-minute trial class. 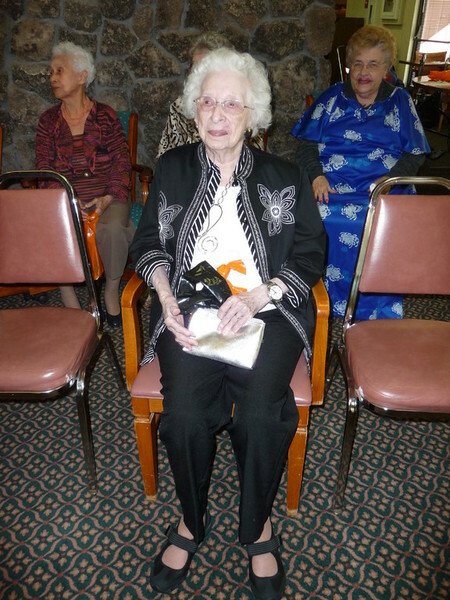 See below for a testimonial letter written by Kathy Silvoy of Villa Marin for Helen Andrade on "A DanceTo Remember"
Residents at Villa Marin PCU/SNF thoroughly enjoyed your one hour ‘DANCE TO REMEMBER’ program Sept. 2013. 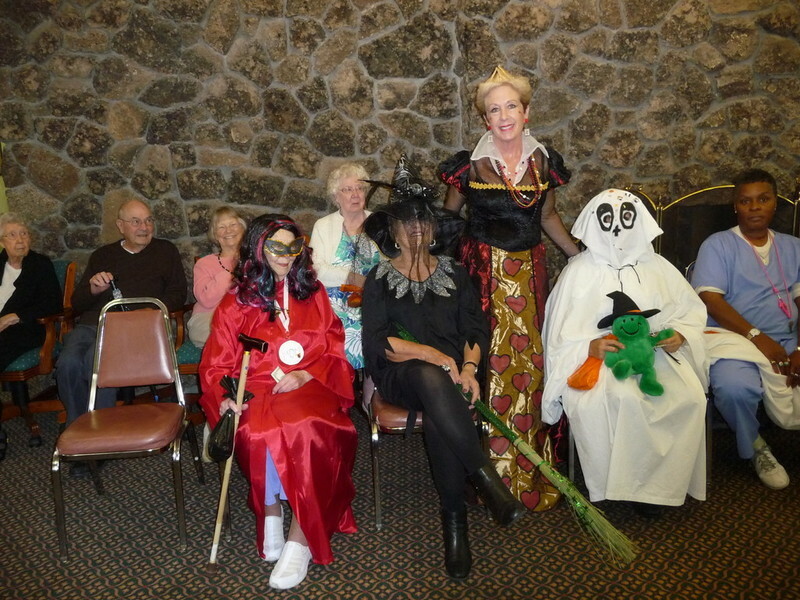 You were able to pick dances our Seniors recalled and showed danced steps that made their feet move with ease. I could hear my Seniors singing along with the music. As you glided across the floor so gracefully many of our seniors were engaging in the dance exercises forgetting about their limitations and remembering the joyous days of dancing in the 40’ and 50’s era. The Residents auditory senses were stimulated by the wonderful wooden instruments you provided. 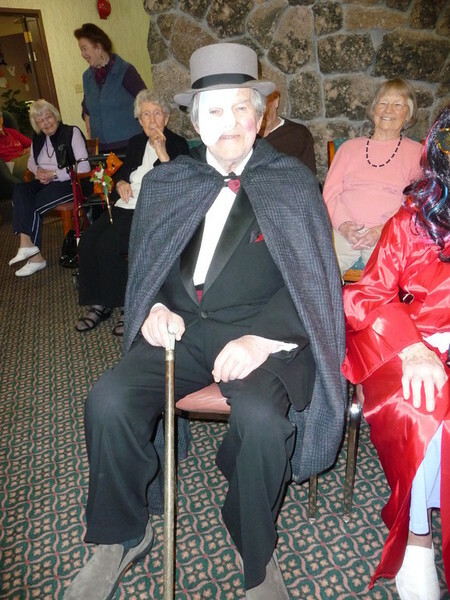 I certainly would recommend your ‘DANCE TO REMEMBER’ program to any type of Senior environment that are interested in enhancing their Residents lifestyle, bringing them the joys of yesteryear and filling their hearts with song. 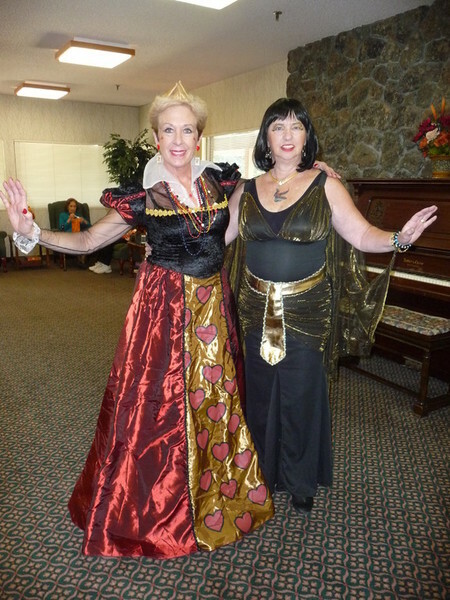 For the benefits of dance to seniors and people of all ages, see Benefits page! Ballroom dancing helps prevent Alzheimer's Disease and people who ballroom dance are 80% less likely to fall as they age!